As most of you know, hubby and I are totally into green energy! He’s definitely crunchy granola, while I’m more granola chic! Over the years, we have installed solar panels on our roof, put in a high efficiency boiler system to heat our hot water and our home, we have plans to put in a geo-thermal system in our front yard someday, and we have cloth diapered our babies. The only thing I’ve used my veto power for, was to stop hubby from putting a vertical axis wind turbine on our roof. After all, I’m not yet convinced it would be completely noise and vibration free. Anyway, when Earth day was about to roll around this year, we debated what we wanted to do to celebrate. We knew we wanted to do something significant but a bit more personal, so this year we have pledged to plant a tree. This way, we can involve our kids and help them to learn a valuable lesson about being good stewards of their world. We want our kids to be aware of the concerns about the world’s resources but we also want to give them the knowledge that they have the power to do something about it. So what better way to do that than to get on our knees as a family, dig our hands in the dirt and plant a tree that will grow as our children grow. As our kids get older, we are looking forward to treasured memories of them standing in its shade, exploring by its roots and possibly eating the fruit it yields. When my babies go off to university or tour the world by themselves, when they get their first apartment, when we walk them down the aisle to get married and when they start their own families. When all of these things have come to pass, we want to be able to look at that tree and remember all the laughs, smiles, silliness, growing pains and milestones that it’s seen. When our tree is old and we are old, we will sit and enjoy a lifetime of memories that we built after choosing to do one act of green. 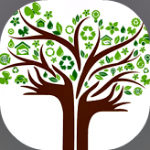 If you would like to celebrate Earth Day by pledging to do something to make our world better place, then A Billion Acts of Green is the site for you! For our little act, my four tree choices are either: Magnolia tree, Japanese maple, Cherry tree, Crab Apple tree. Below are some photos of these trees. We’d love some more suggestions, so leave a comment below and let us know what kind of tree you think would be great for us to plant as a family. Oh, and don’t forget to check out this cute One Billion Acts of Green video by the Harlem Globetrotters. Making the decision to begin blogging is both exciting and terrifying at the same time. If it’s your first time starting a blog, the learning curve is steep, and you get a jarring introduction into writing html code, navigating social media sites and producing creative content. 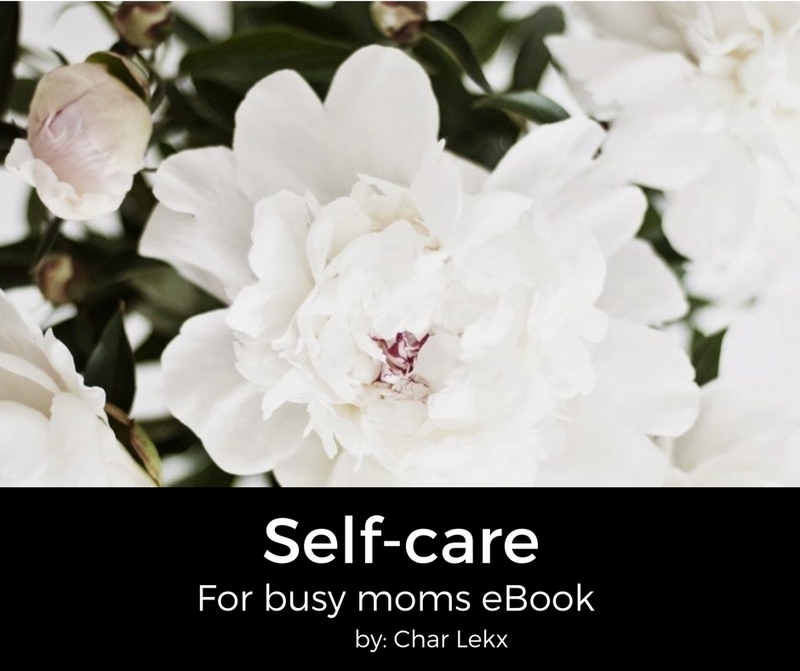 We all begin blogging for different reasons, and I have a wonderful husband who keeps reminding me that I started blogging to connect with other parents, and to learn new skills while I work at being the CEO of my home. When you start, everything is new and you feel like the deer in the proverbial headlights. You write enthusiastically, you visit other blogs and leave them kind comments; you re-tweet others and share their Facebook posts. But after a while, you realize that although you put yourself out there, at times it feels as though there’s tumbleweeds rolling through the home page of your own blog – it’s as quiet as an old western movie. There are no responses to the wonderful post you just wrote, absolutely no comments, and it is frustrating and disappointing. Beginning to blog sometimes feels like walking into a new school for the very first time. You stand in the front hallway and say “Hi my name is Char,” (in your friendliest voice) and everyone keeps on milling around going about their business. After a while you realize that it’s not that they don’t like you, it’s that they are just busy doing their own thing. It is still intimidating and lonely. In blogging, like in life, you sometimes see people in their cliques talking and laughing and just wish that someone would come up and say hi to you too. And let’s be honest, even if you try to make friends, sometimes you are stonewalled. They are polite but the message is clear: they like their group dynamic just the way it is. And then it happens. Someone leaves a comment on your blog, then comes back again and yet again. You comment on their blog too and before you know it you are virtual friends. These friendships are rare but so worthwhile! So to all you bloggers who are feeling a bit frustrated with making online connections, don’t be discouraged, keep on putting yourself out there. Although some may make it clear that you are not welcome in their circles, there are so many more people in the blogosphere who would love to welcome you with open arms, tweets, shares, comments and follows. I think we should adopt a new motto when it comes to blogging. Let’s remember what it was like when we first started out, when it was hard to crack into any circles. 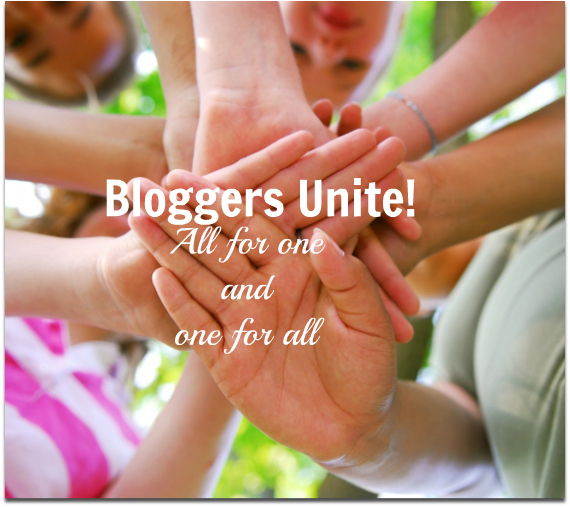 Let’s be welcoming to others in the blogosphere. After all, this is a great opportunity to expand our horizons and views, to grow as people and as bloggers. So, open your circles wide because adding more links to your social chain will only make you stronger.